Good bookkeeping is essential to business. After all, your business is all about numbers and whether those numbers are enough to keep your business growing. But at the heart of any business is a business owner looking around and wondering why there’s so much backend to do. A lot of owners keep their bookkeeping in-house to save on costs, but really, it costs far more than they think. 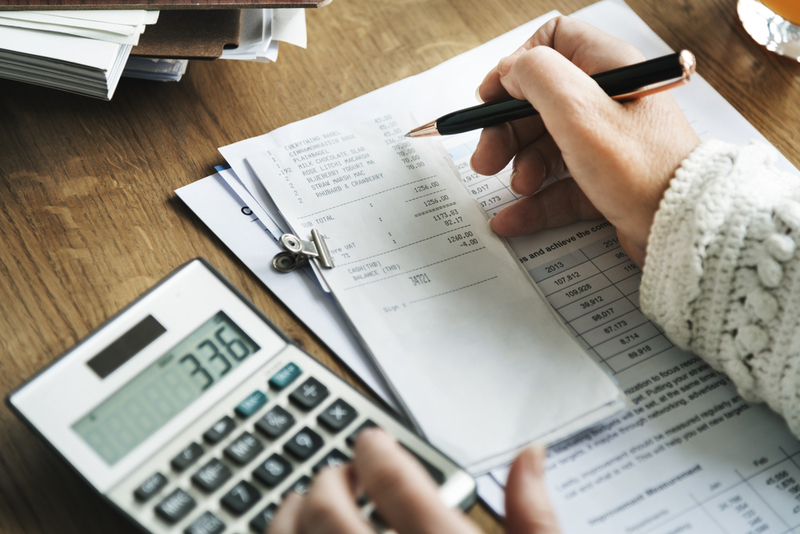 Let’s break down what’s involved in bookkeeping. No matter how big your business is, how long does it take you to do your books once you find a moment to sit down and do them? We frequently hear business owners talk about setting aside a day to knock out everything outstanding, and that’s just finding all the paperwork and entering the data. Bookkeeping isn’t simply putting numbers in a spreadsheet. It’s a complex financial tracking system that accounts for every dollar that flows in and out of your business, categorising every transaction for a clear picture of where your money goes. But when it comes to tax, that’s where it gets tricky. To be really effective in your bookkeeping, you need to stay across all the related tax regulations for business. This includes how much you can claim for travel, phone, internet, education, to name just a few available deductions. There are many more that a lot of business owners aren’t aware of. Bookkeeping started out as a paper-based system. Then we got spreadsheets. Both methods involve a lot of manual work to keep them up-to-date so you have a ‘real-time’ view of your cash flow. If you are more tech-savvy, then you’ve got the classics (MYOB and Quickbooks), along with the newer favourite, Xero. But you still need to go through the initial setup and then understand how to use these systems on top of understanding bookkeeping. Watching tutorials, Googling answers, this all takes time. And then you need to create your process for bookkeeeping – who, what, when, and how. To calculate what it costs you to do the books for your business, you need to place a value on your time, as if you are an employee. The general rule of thumb is $50 an hour, because that includes tax, super, leave, all the benefits you get if you were an employee. So if it takes you a day to get all your bookkeeping up to date, then that’s $400. Add in a few hours of research to understand the tax considerations of some transactions, and that’s another $150. If you want to store all your paperwork digitally, that’s at least another $50 (depending on if you scan or snap). Then filing, that’s another $50. Now if you have inventory counts and payroll, assume another couple of hours if you’re organised, and double it if you’re not. We’re creeping up to the $900-$1000 mark. And this could just be one week’s worth of bookkeeping. Bet you weren’t expecting that. Nothing costs a business more than someone’s time. Particularly yours. We’re bookkeepers, so in writing this, we’re could say that the easiest and most cost-effective way to solve that problem is to hire us. Because we believe your business should be all about kicking goals, with your bookkeeping ticking away in the background instead of in the front of your mind. But maybe that’s not where you’re at right now. Or maybe – like us – you really enjoy bookkeeping and look forward to it, but you’re looking to make it that bit easier. We both recommend and love Xero. It’s easy to setup, easy to use, and as long as you have internet access and a computer, you can access your financials. It even has a smartphone app so you can dash off invoices on the go. Also, it integrates with lots of different software and apps, so if you’re looking for that kind of workflow, that’s the way to go. Previously, storing your paperwork meant lots and lots of filing space in your office. Now you can keep it all online, keeping your office free from massive filing cabinets. You can either snap and save to a cloud-based storage system like Dropbox or save directly to your computer. We also recommend looking into an app called ReceiptBank, which integrates with Xero to save you heaps of time matching up the figures to the paper trail. It automatically extracts the relevant financial information and sends it to Xero with the click of a mouse. The added bonus is that it keeps a copy of your snap attached to the corresponding bill in Xero, so you never have to worry about finding it again. Even the ATO has got an app where you can store your expenses! We know, this isn’t something DIY-related. But if you can’t afford a bookkeeper, you should definitely have an accountant to do your tax. While you could do your own tax, getting something wrong as a business is now riskier with the ATO scrutinising incorrect statements and returns. A small cost now is better than a big fine in the long run. Bookkeeping is about keeping your finances where you can see them. So spend a bit of time getting your process sorted and in no time, you’ll find that it’s down to a few hours a week, maybe less. Understanding the cost of your time is the first step to deciding what really deserves your attention. If bookkeeping is one of those tasks, then having a good setup from the start will really help in the long run.